Dontnod Studios had a hard time finding a publisher for its female-fronted action game. The videogame industry has an arguably negative relationship with gender. A large portion of the medium's audience is female and yet, more often then not, publishers and developers behave as though that half of the demographic is nonexistent. The majority of videogames are made and marketed for men, and some in the industry feel that female-fronted videogames are, by default, a losing proposition sales-wise. This is a bias that Dontnod Studios can attest to all too well. 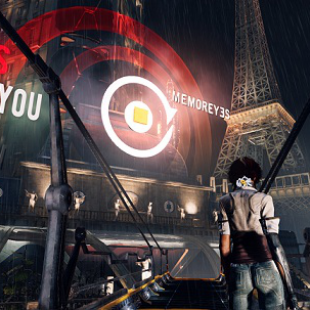 In the process of pitching its game Remember Me, several publishers turned the title down on account of the protagonist being a woman. "We had some that said, 'Well, we don't want to publish it because that's not going to succeed," said Jean-Max Morris, creative director at Dontnod Studios. "You can't have a female character in games. It has to be a male character, simple as that.'" Dontnod's experience is far from surprising given the sad prevalence of such attitudes in the gaming industry. In the past, some publishers have gone as far as forcing developers to change the gender of a game's hero, hoping to boost sales. Despite these reactions, Dontnod refused to change Remember Me. "The world we were building was much more about emotion, intimacy, identity, and the way technology would intersect those. It just felt like the other side of the coin, the yin and the yang, and it just made sense to us that it would be a female character," said Morris. Remember Me eventually found a publisher in Capcom. Even so, it's hard not to be flabbergasted by the persistent belief some maintain in the non-viability of female protagonists. Metroid, Tomb Raider, Resident Evil, Bayonetta; these are just a few franchises that have starred women at one point or another, and they certainly didn't suffer for lack of a Y chromosome.